Artizania Jewellery: Here's To A Happy And Successful New Year! Ok, I'm a couple of days early but I'm wishing everyone a happy and prosperous 2012! 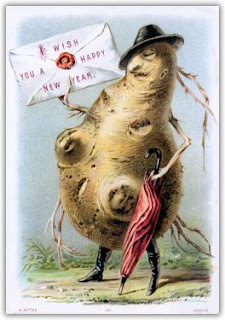 I found this very unsual Victorian New Year card!!!! I'd been watching the kid's show Horrible Histories and they were talking about "Wierd Victorian Christmas Cards" Ha ha! I had to go online and check out "Wierd Victorian Christmas Cards" after that! And this New Year card is one of my favourites! Believe it or not I actually like this! I think he's cute! Ok, how do you follow that? Hmmmm, you can't really can you? So on a completley different note, here are some pics of my latest jewellery designs, I'll uploading them to my etsy over the next few days﻿. 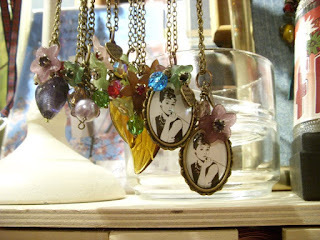 "Audrey" pendant is already for sale, click on either photo!